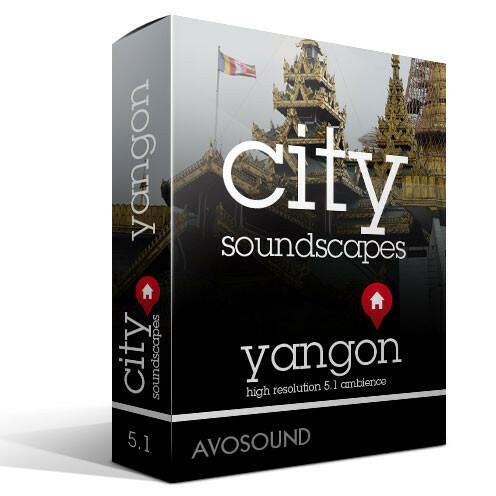 In this article I would like to show you how to handle all sorts of sound recording problems early on without becoming frustrated and anti-social in the process. We will look at a number of specific examples and develop a strategy that will keep you from turning into a misanthrope (or an animal hater). 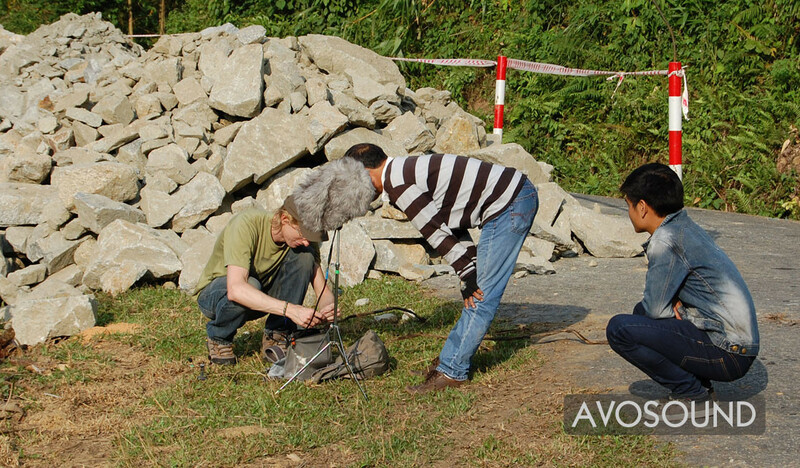 Field recording is the term used for an audio recording produced outside a recording studio, and the term applies to recordings of both natural and human-produced sounds. - Source: Wikipedia. In a nutshell: outdoor sound recording. I'm thinking about many pounds of extra baggage and the headache it creates when travelling. I'm thinking of a hellish ride on the back of a motorbike through a typhoon in Vietnam; the time I spent on a kayak in high winds and treacherous waters, asking myself whether I should worry more about the equipment or the data on the recorder. Luckily, neither adventure trip ended in disaster. But there many times when nothing interesting happened and hours of recording time were wasted. While tourists can just move on to the next sight, a sound recordist knows no such convenience. ...how much sh*t you had to endure to make your recordings. Don't get me wrong: I like the stories behind the recordings. Which is why you should [ add your own story ] or send it to me via email. The sound editor, however, has little use for such stories -- he/she only cares about finding matching sound files. Still, field recording is the best job in the world. But it's definitely not a holiday! Picture: Is it going to be a good recording? 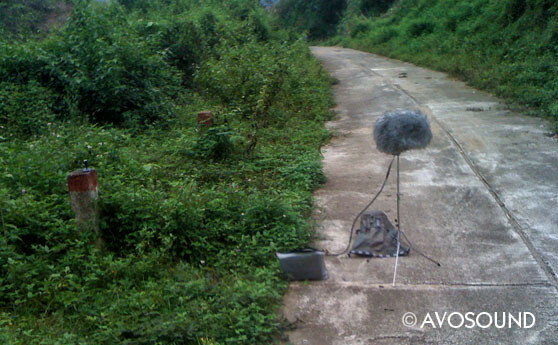 Preparing a sound recording in Vietnam with the help of two Easy Rider tour guides. Before you venture outside, it behooves you to remember a few laws of nature. You can't take anything for granted out there (you won't find a wall plug on a rock face, for instance). And you'll find yourself in all sorts of unfortunate situations, no matter where in the world you are. You are not alone on the planet. Everything you can hear while you're recording will also be captured on the actual recording. No wind basket, no fun! Wind is your enemy -- unless your purpose is to record it. The weather is whimsical and cannot be controlled. Forget about recording anything in the vicinity of an international airport, except if you want to record air traffic noise. The quieter the surroundings, the more audible the interferences (e.g. passing cars, airplanes, chain saws), even if they are quite distant. Don't expect pedestrians to understand what you're doing. Blood-sucking insects will be drawn to you while you're trying to remain motionless during a recording. There is no silent way to kill a mosquito. Watch out for local customs (example: from April until October, cows in Switzerland will make so much noise with their bells that it is impossible to record anything other than, well, cow bells). If a desirable destination can be reached easily, you won't be the only one visiting it. In fact, you'll probably be surrounded by people...because you are not alone on the planet. Sundays and holidays are generally quieter than work days. However, more people will be out and about on those days. The list is almost endless, as you can see. 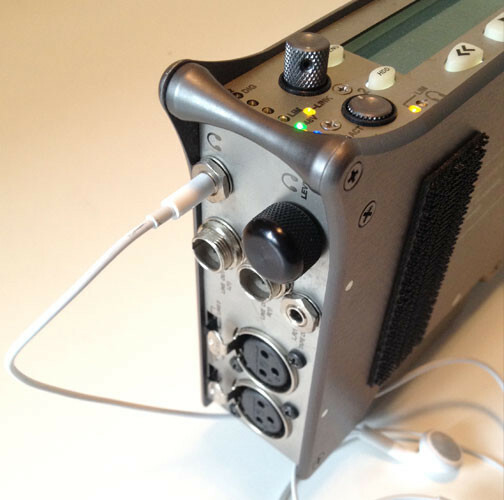 There are countless elements that can drive you nuts during field recordings. If you don't want to become completely anti-social, we recommend that you take some precautions before heading out. Picture: Crowds are easily attracted. Before we go where nobody else is going, we must think about a few things first. Most importantly, how to identify (and avoid) potential noise factors. There are often very good reasons why no one else visits certain places! Whether you're in the city or in nature, there are dangers everywhere: mine fields, tigers, quicksand, man-eating plants [ add your own nightmare scenario ]. About the audio file: the perfect cargo train sound without background interference (or bears). Please note that there are no sound issues at all as the train arrives/departs. This recording was not polished in any way (e.g. noise reduction or similar tools). Why can't it always be like this? You can't always go to places where no one else is around. But if you learn how to identify possible noise issues by researching the recording location, you will increase your chances of making a successful recording. For example, if you intend to record the landing of a new Super Airbus plane, you should not be surprised if there's a crowd of thousands already at the location. But if you wait for a few days and go to the location when the plane is flying according to the scheduled flight plan, you will find that no one is interested in it anymore and you'll probably be able to make a pretty good recording. You press record and after a while you press stop, thinking that you just made a great recording. But when you play it back much later, you realise that the recording contains all sorts of extraneous noise. Whether or not a recording is successful often depends on the noise issues at the recording location. When making sound recordings, you have to be focused on your immediate surroundings -- and not just on the actual object to be recorded. Noise factors can include anything from chirping birds to rippling water. Often it is enough to move your microphone a few yards away from the unwanted noise source in order to get rid of it on the recording. Although I absolutely hate headphones, I often check the recording channels to make sure that I'm not capturing any unwanted noises. For more information about headphones, please see below. 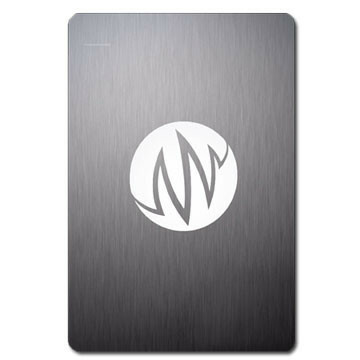 ...is a key factor that determines the success of a recording. For a successful sound recording, you need to identify possible noise sources and find locations with good signal-to-noise ratios. If it doesn't fit, it gets cut. This is basically correct, but it doesn't always work. 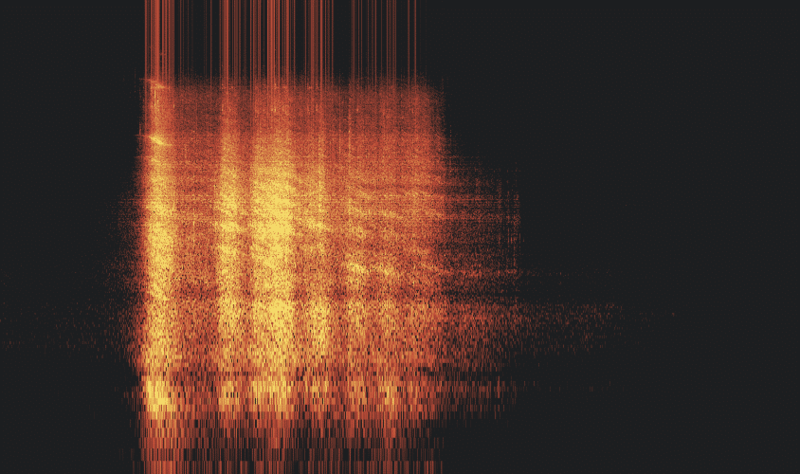 The example below shows what a hard cut does to the fading sound of a departing train. 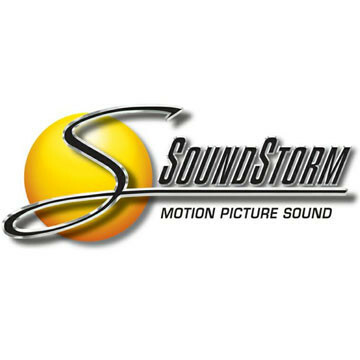 It is not possible to cut out the sound of someone talking during the recording; hence the entire recording is unusable. The sound of a departing train changes continually depending on the distance, until it fades out completely. It is virtually impossible to cut out a considerable amount of the action without causing a very audible 'jump cut'. By considerable I mean any cut that lasts more than two to three seconds. Cutting out the bit where someone asks for directions (and where you subsequently put him into a headlock), will not work. 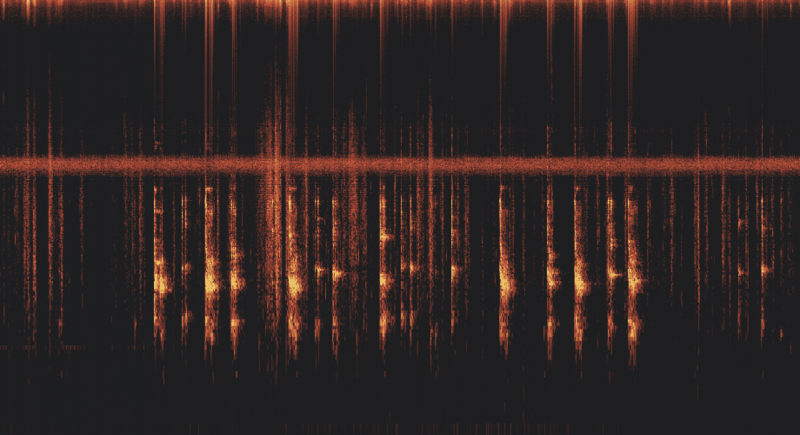 This kind of noise factor is obvious trash, assuming that you noticed it during the actual recording session. Putting the guy into a headlock might be momentarily satisfying, but it's also slightly anti-social and won't save your recording either. The recording below illustrates what happens when you're too lazy to use your headphones. Personally, I do not advocate the use of headphones. But ever since I managed to ruin a recording because of a noisy wind basket, I have occasionally been using headphones again. 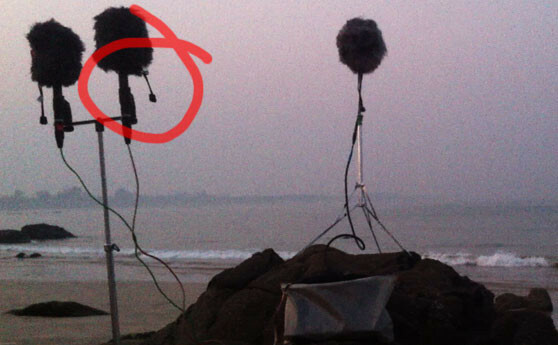 To the right: The picture corresponding to the recording: the wind continually slams the strap against the microphone. This sort of noise issue can be avoided by monitoring with headphones. Another classic mistake is to accidentally capture your own breathing on the recording. If you're too close to the mic and the surroundings are very quiet, your breathing -- once amplified -- will sound like the snorting of a walrus. 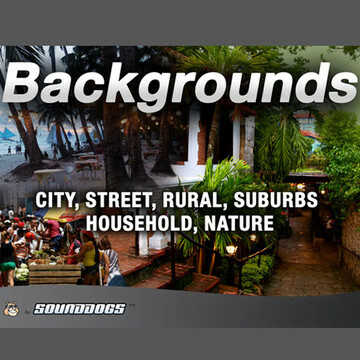 However, the single biggest noise issue that will ruin a recording is a high level of ambient noise at a location. Picture: Watch out for bits and bobs attached to your equipment. The wind makes the straps of the wind protector slam against the microphone. The corresponding audio recording is above this paragraph. The assumption that cutting-edge technology and modern tools can get rid of any and all sound problems is simply false. Such thinking is misguided and should be changed immediately. The reason is simple: restoration tools (just like the name implies) are mainly meant to restore things. They won't improve a recording -- they will just make it slightly less awful. 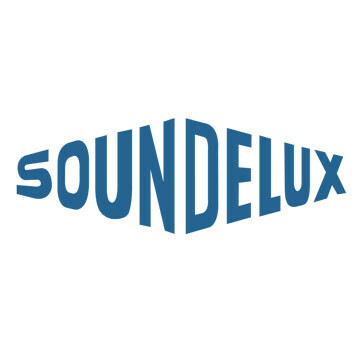 Instead of trying to salvage a ruined recording, you should try to minimise possible sound issues before the actual recording session. The ability and willingness to make compromises is one of the basic characteristics of Swiss people. We are good at compromising, even when it comes to sound recording on location. In many ways, a location is comparable to an apartment: there's always something wrong with it, no matter how you look at it. If the rent and the location are great, your neighbours are probably idiots. And if your neighbours and the flat are great, the location is most likely rubbish. 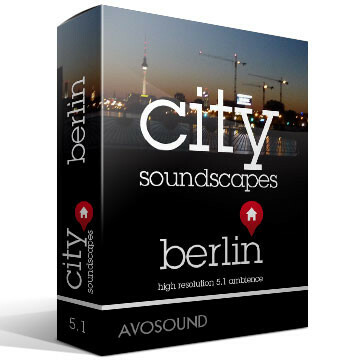 Sound recording locations are similar. You need to assess how bad the interference factors are. If there are too many factors to consider, it is probably better to abandon the location and look for a better place. This is, however, not as easy as it sounds (I myself have been guilty of ignoring this advice on many occasions). 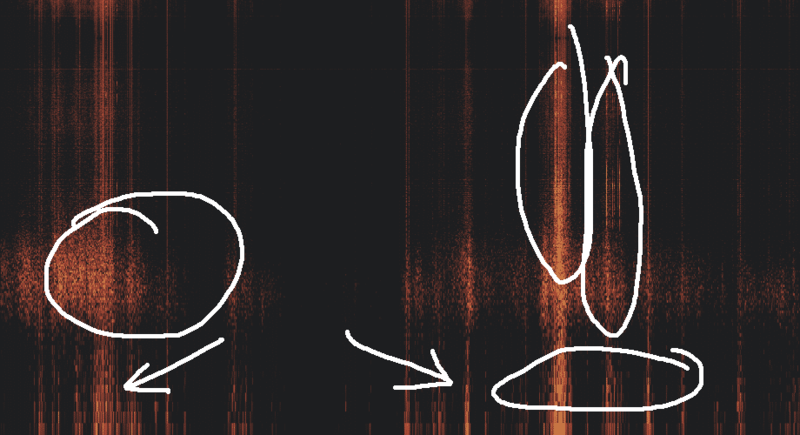 Experience teaches us that these kinds of recordings take up an ungodly amount of time. Trying to get a clean recording is extremely time-consuming (and often impossible). 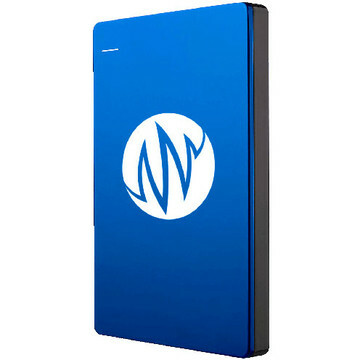 More importantly, you are wasting storage space on the recorder (as well as on the intermediate storage system, the backups and even the long-term data storage drives). Dead data is a massive space waster. If you have a recording of cars/street traffic with the sound of crickets in the background, you will not be able to use it for a winter scene. However, you might be able to compromise and use it for a summer sequence instead. If you wish to record trains or street cars, you can sit yourself onto the railroad embankment (try not to look like a suicide candidate, or the driver will pull the emergency break). It is more difficult to record the arrival or departure of a train without catching PA announcements or the sound of waiting passengers. The question is, do you really need an absolutely clean recording without any people in the background? Whether you are recording a train, an airplane or a restaurant ambiance, it is important that none of the background conversations are distinct enough to stick out of the general murmur of the crowd. As soon as an individual voice dominates the background, the ambient track essentially turns into a recorded dialogue, in which case the recording becomes unusable (the voice is too distracting). My rule of thumb is as follows: as soon as there are more than three conversations overlapping in the background, you can record an ambiance track (individual conversations will no longer be distinct enough). Sound designer Walter Murch explains the 'rule of three' in his article 'Dense Clarity' (in the 'Trees and Forests' paragraph, which is required reading anyway -- not just for sound people). If your train recording has to be clean, you have no other choice than to sit on the train during rush hour and hope that people won't talk to each other (which is quite common, actually). A safer bet is to take the train shortly after rush hour. That's when the full-length trains go back to the depot where they will shed a few carriages. If you're not on a busy line then, you might even have a whole carriage to yourself for the recording. 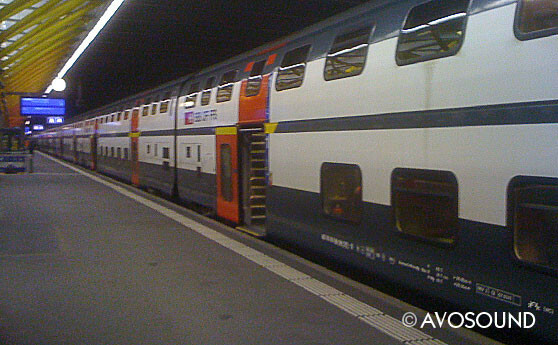 Recordings of arriving/departing trains should ideally be made on cold evenings. The platforms will be more or less empty because passengers are sheltering inside the heated station house. Picture: Where did all the people go?!? During off-peak hours, you can find peace and quiet in places that are normally crowded with people. You might encounter the odd anti-social individual, but that's a small price to pay for a clean recording! If you're willing to remain open-minded and imaginative, you will find many interesting recording locations that sound great during off-peak hours. Add to that a bit of common sense when making certain recordings -- particularly in central Europe (i.e. 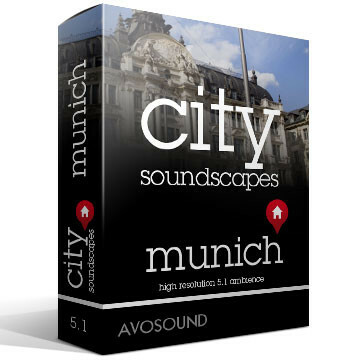 don't try to record snow sounds in the summer or busy street café ambiances in winter). If you pay attention to the seasons, you can make your own annual calendar according to what sound recordings you'll need. 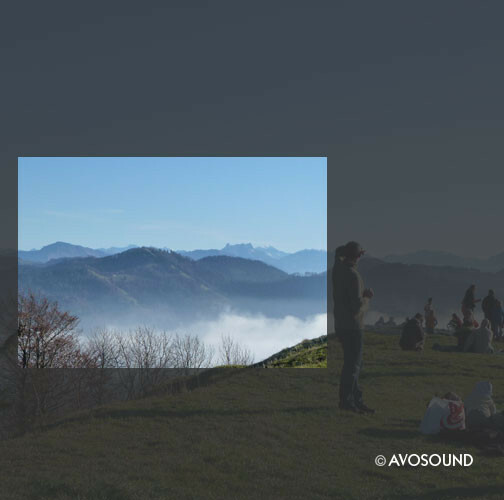 In my calendar, there will be no sound recordings in the mountains from June until October. 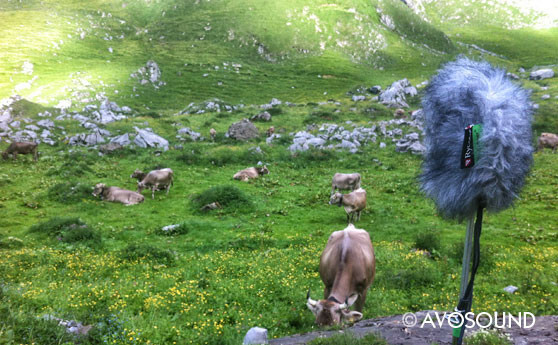 This is the peak time when cows populate the Alps -- and their bells can be heard from miles away. Birds are also very active early in the year. To put an end to their incessant chirping, you can fire into the air with a gun. But that's against the law in most countries, so not really an option. If you want clean outdoor recordings without any insect or cricket noises, you need to make them during the winter time. When the first frost arrives in the mountains, most insects will cease their noisy activities. Snow and frost also reduce the amount of water flowing in rivers and brooks, which leads to uncommon silence in the valleys. The ice often muffles the sound of flowing water entirely. 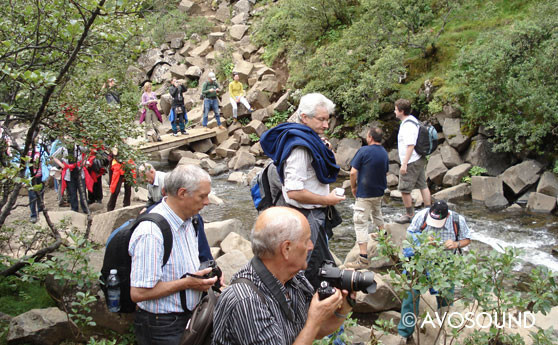 You're in the wrong spot if you want to record flowing rivers during this time of year. But if you wish to record static atmosphere sounds, you are in heaven, because the landscape is beautifully quiet. Living in a quiet area has the added benefit of making spontaneous recording sessions possible. If you happen to live next to a highway or a busy street, you will never get a quiet moment for a recording. For example, if a thunder storm approaches, you can just grab your mics and run out (see below). Famous places tend to attract a lot of people. One very good reason to leave your equipment at home. Traveling by bus or train is not exactly recommended either -- you tend to zoom past the most interesting places. If you walk or cycle to your destination, you are more likely to see the actual surroundings. What you are looking for is often very nondescript -- visually speaking -- but acoustically of great interest. 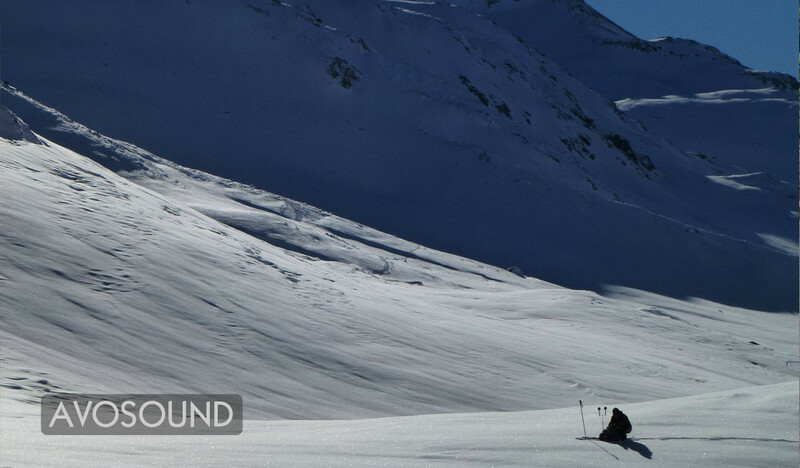 Recessed areas provide good cover from ambient noises and are well suited for field recording. Sometimes you will literally just walk into the perfect acoustic setup, e.g. the recording of the jungle crickets in Myanmar (there was a whole choir of them making noise just at the right moment; then they all went silent again). Picture: Somewhere in Myanmar. Admittedly, a rather ugly place (aesthetically speaking). But the acoustics were great! When you've finally found the perfect spot and set up the gear, you'll want to start recording as soon as possible. But once the record button has been pressed, there are numerous ways a recording can be ruined. Rustling clothes are clearly audible on a recording. And so are shoes scratching across the ground. And even checking your watch can become an issue, because this action is rarely as quiet as you think it is. Leather shoes tend to make a lot of noise, and it's very hard remaining still in them -- especially if you are standing on dry leaves in a forest. As you can see, it's not enough to just shut your mouth during a recording. If you are recording ambient atmospheres with extremely sensitive microphones and high amplification levels, you will be surprised at the amount of extraneous noise captured on the recording. Wind baskets and protectors need a few minutes to settle in. Changing temperatures can cause wind baskets and microphones to make creaking noises that will end up on the recording as well. These interferences, however, are very subtle and will not be audible on recordings with loud ambient atmospheres. Clothing noise is actually much more annoying and unnecessary. Every time you want to shave off a bit of weight by ditching the microphone stands, you will regret your decision later on -- particularly once you hear the rumbling noises and structure-born sound caused by hand-holding the microphone. That's why microphones need to be on stands for static recordings. A sure-fire method to ruin a recording is by leaving the wind shield at home. No further explanation necessary, really. Buy a decent wind shield or at least a good wind basket from Rycote. Headphones are great for listening to loud guitar music or to keep your ears warm when it's cold outside. But they are a pain to use for recording because they get in the way. Having said that, however, I must admit that they do have a purpose during sound recording. After a noisy wind shield ruined several of my tracks, I have become a bit more open-minded about using headphones. if I had used headphones from the start, I would have caught the sound issues early on and probably saved my recording. There's no point in becoming anti-social out of frustration, not even if you're a sound recordist. You should much rather revel in the joy of having succeeded in making a good recording without interference from Joe Public [ add your own moniker for simple everyday folk ] by being in the right spot at the right time. Just be careful not to be too verbal about your victory over [ add your own moniker for simple everyday folk ] or you might get some weird looks. 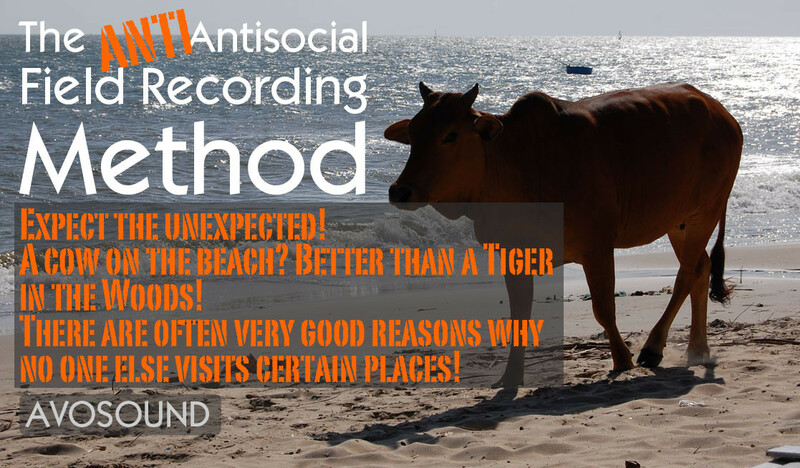 It is definitely not anti-social to find a recording location that is popular with photographers but cannot easily be reached by them. Satisfying to know that your likeness has been immortalised in so many Kodak moments! 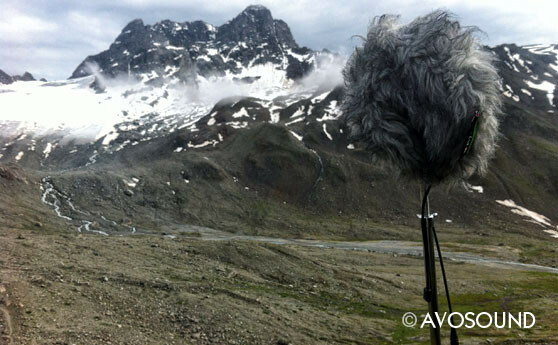 Sound Recording - A walk in the park or a trip thru hell? If you've ever tried to make a good sound recording, you will know how difficult environmental influences can be. When listening to the finished track, most people would never even guess how much work went into making such a clean recording. Making recordings while you travel is quite stressful and is definitely no holiday. It is impossible to plan out everything in advance. Add to that the pressure of having to be in the right spot at the right time and you'll find yourself racing from one spot to the next. ...the list of possible sound issues is endless. If you want to make successful sound recordings, you have to learn to work around the crowds and lead an off-peak existence -- just make sure you don't become entirely anti-social in the process!